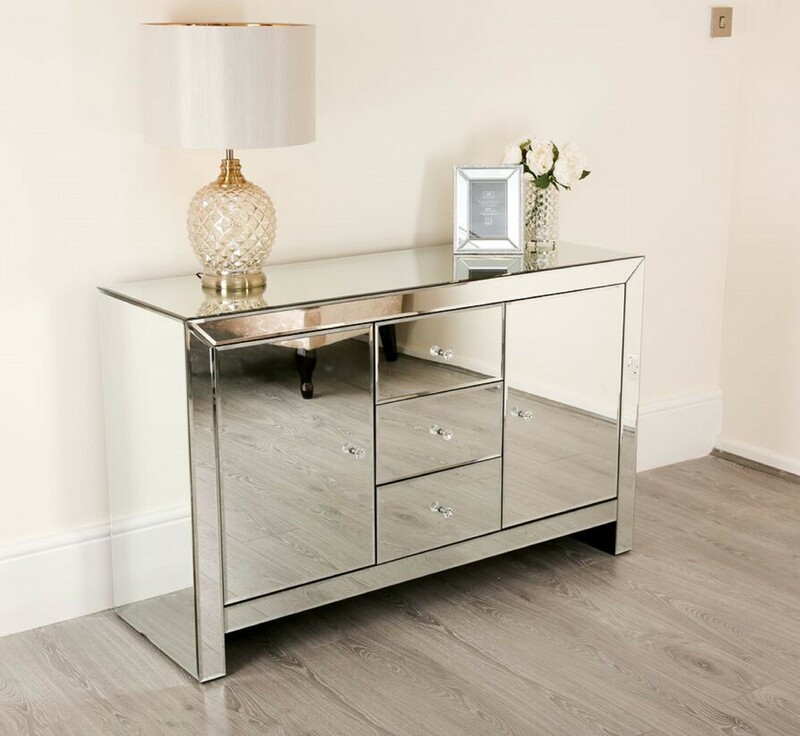 Our Stunning venetian mirrored sideboard will create an impressive focal point in your home. 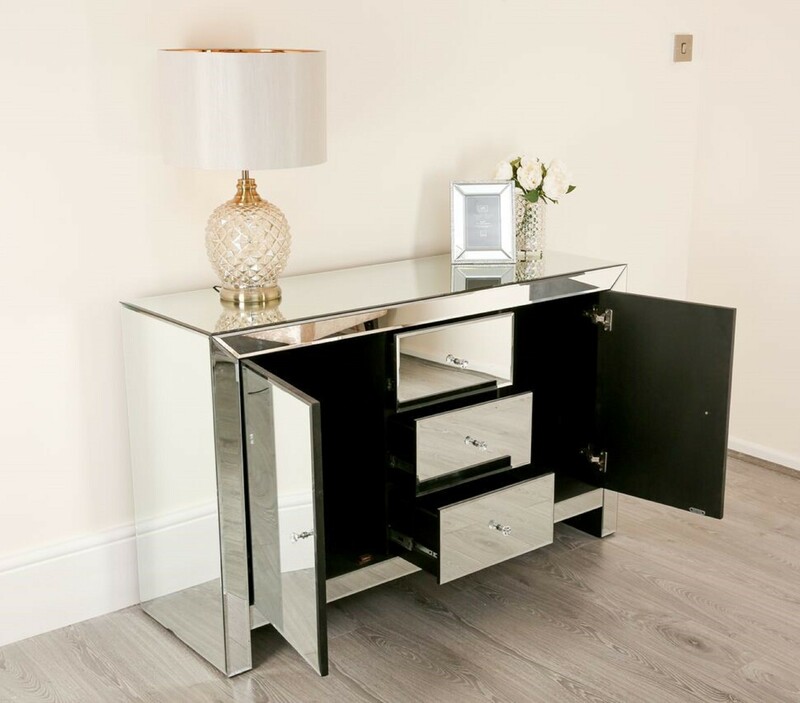 This opulent piece adds a lustrous interior finish. 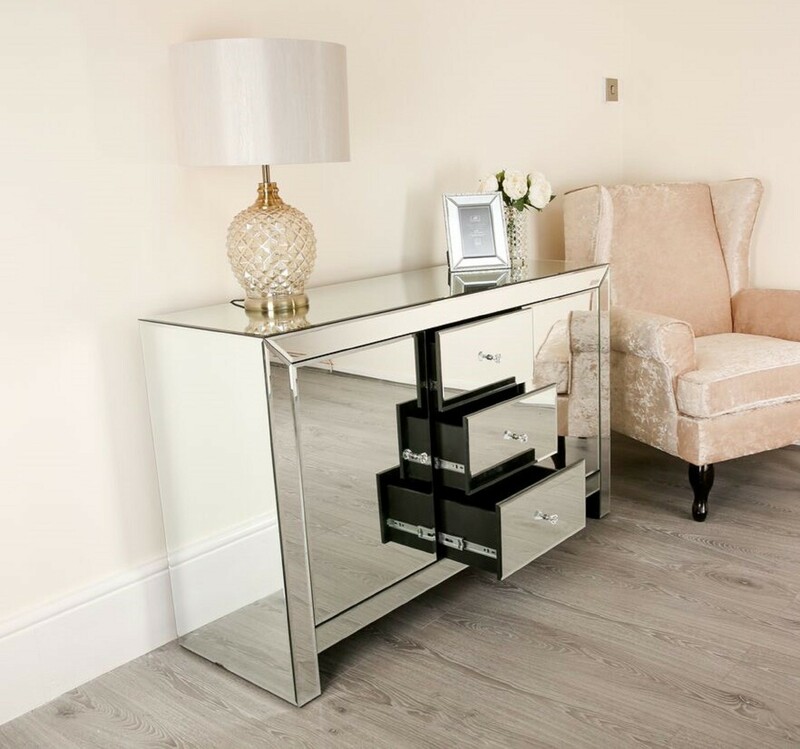 The mirrored cupboard doors feature soft close hinges and 3 deep lined drawers with easy glide runners. Create the space solution for all your dining or living needs.